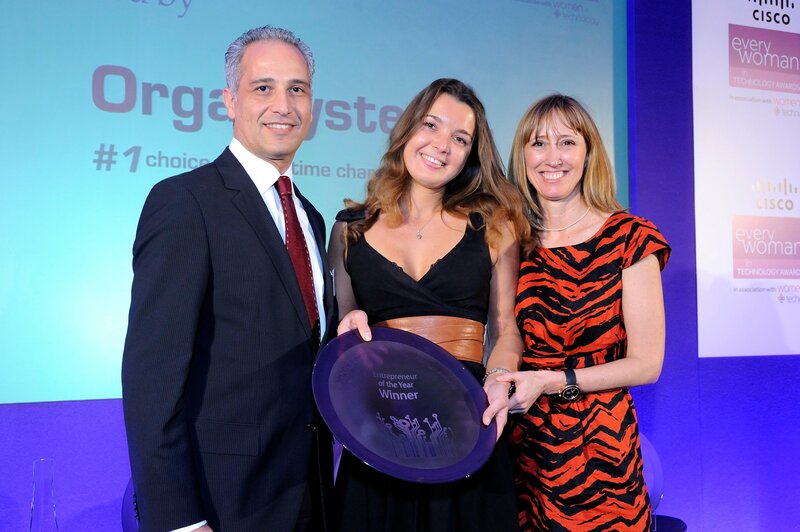 Winner Olga Kubassova, founder and CEO of Image Analysis, along with Ramez Younan, CEO of Orga Systems (category sponsor) and everywoman co-founder Maxine Benson. Founded in 2007, Image Analysis allows clinicians a vital window of opportunity to treat arthritis and oter inflammatory diseases in its early stages by turning the abstract concept of algorithms into innovative software. At just 27 years old, Olga has turned a startup into a team of 25 with a turnover of £1m.